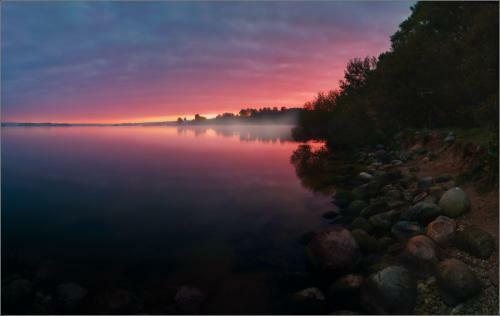 Postcard BY-1046781 from Belarus shows a photo titled the House of the Rising Sun by Vlad Sokolovsky, featuring a beautiful morning scene at the Minsk Sea in Fall 2011. You can visit the photographer's other works at Foto.BY. He also has a blog on landscape photography at LiveJournal.